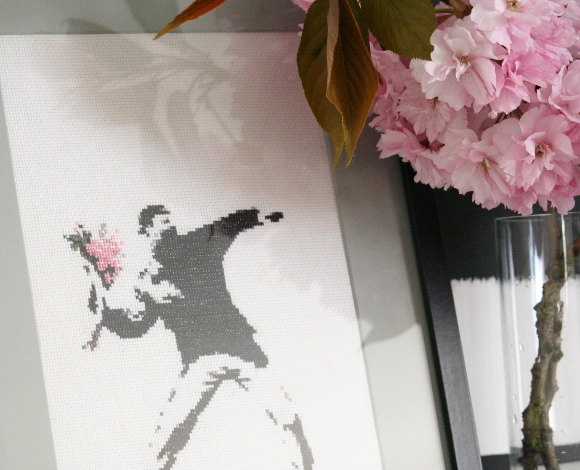 One of my first tutorials was my Banksy flower terrorist cross stitch. To this day, it’s one of my most popular blog posts and I get about an email a month asking for more details on it or for the Excel pattern. No word of a lie – another email just came in while I was typing this out. Ha! For a long time I’ve not been fond of the colours I originally cross stitched into the tightly gripped bouquet. Blue, yellow, red, pink, green, brown – too many colours for me. I had the idea years ago to pick out the stitches and redo it in a colour I’d much rather prefer, but in true form, I never got around to actually doing it. 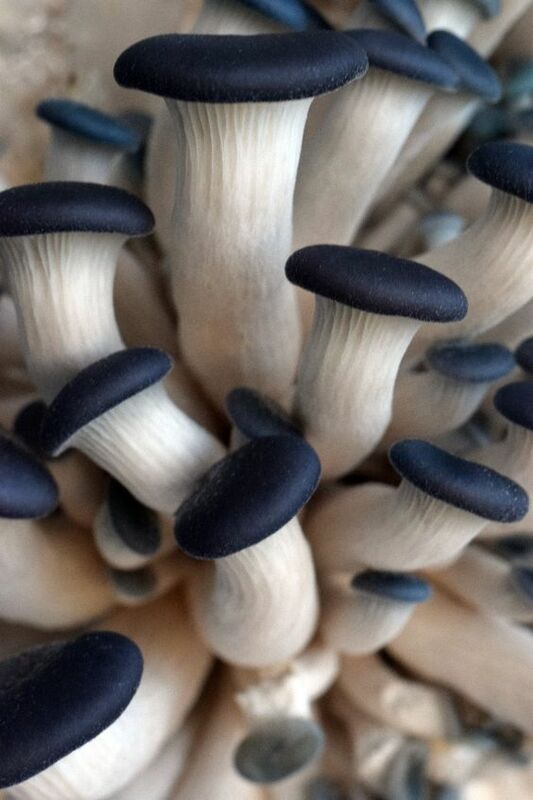 Until this morning. But what colour would I make the bouquet? A nice shade of dainty pink would look nice, afterall, it is cherry blossom season. That’s it! CHERRY BLOSSOMS. YES. Perfect! I picked out the previous colours and added dainty pink thread haphazardly to the pattern [as cherry blossoms are wonderfully floofy and out of control]. I love this pattern as I’ve had all kinds of people get in contact asking for the pattern. Rebel teens for their bedroom, a guy for his mancave, a lovely woman wanting to stitch it for her grandson, and many in between [Dev – if you’re reading this, power through the boring bits! You can do it!]. 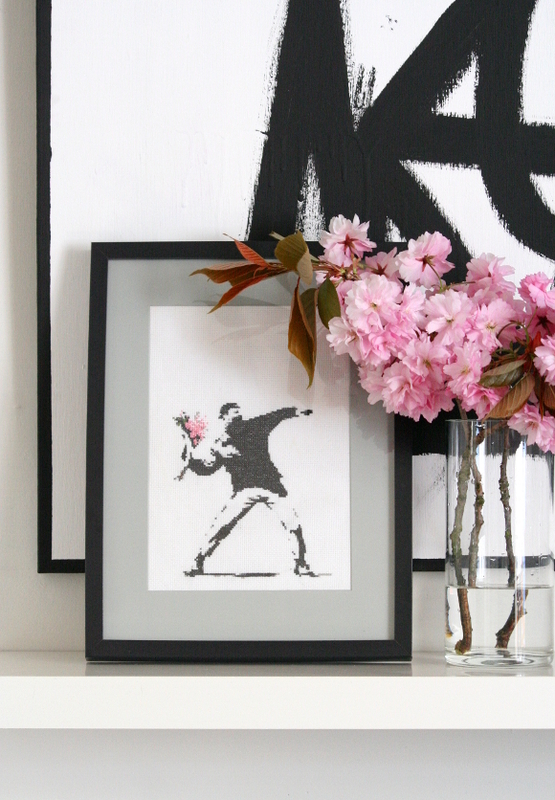 They always tell me what they hope to use it for and how much they love Banksy. The feeling is mutual. For me, changing the flowers to cherry blossoms has given my tired old cross stitch [it’s five years old this year] a new lease of life. When I was finished restitching it this morning I really got excited about it all over again. Yes, it’s no longer true to the original graffiti, but just like the rest of us, it’s had to adapt a little bit. Love you you've styled your photos in this post, with the real cherry blossoms – the pretty pink looks so good against the black and white! 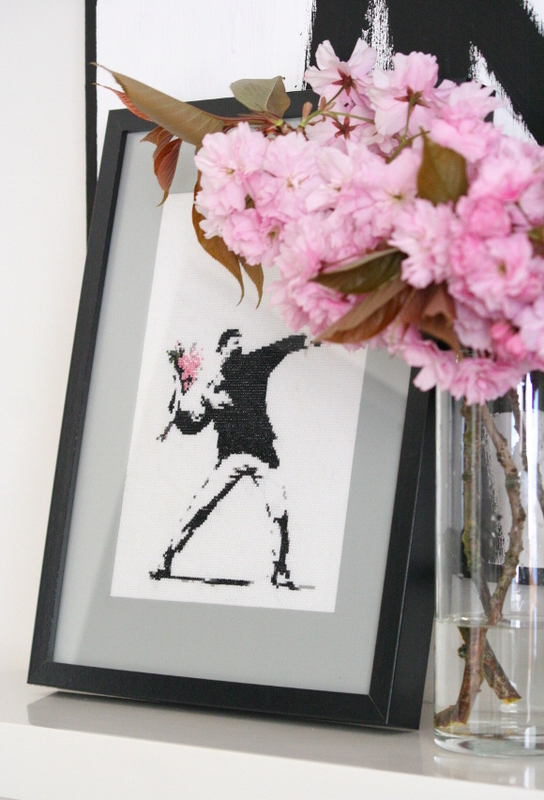 And the Banksy cross-stitch looks amazing with that dainty pink bouquet!!! Absolutely spot on – love it! Fabulous work, and good on you for actually doing the un-picking and restitching, I find I put those sort of tasks off forever! I was nearly at my wits end. All the stitches were knotted together at the back – from my horrid early stitching 'skills'. It wasn't even a big area to undo! Words were uttered and I'm glad no one could hear me. There was a reason I put it off for five years.